I am always reluctant to repeat here speculative, unconfirmed reports that pass as "news." For once I repeat them, I am reinforcing the impression that what I am saying is solid news. Here, then, I will just allude in the most general terms to unsubstantiated talk about the fact that Prime Minister Netanyahu might be willing to offer the Arabs a good deal of territory in Judea and Samaria. Barry Rubin: Response to Ron Paul: Did U.S. Policy Make Today's Islamist Iran Hate America? Response to Ron Paul: Did U.S. Policy Make Today's Islamist Iran Hate America? A different version of the following article was published in The Daily Caller. Presidential candidate Ron Paul has said repeatedly that Iranians hate America because of its role in the 1953 coup overthrowing Prime Minister Muhammad Mossadegh. Like his frequent claims that the September 11 attack was a response to a supposed decade-long U.S. bombing of Iraq. The following by Yedidya Atlas is reposted with permission. The article, by a David Streeter, made clear to me that the “values of the vast majority of American Jews” have little to do with Judaism, reminding me of the pundit who described the Reform movement as “the ultra-liberal wing of the Democratic Party - with holidays.” While assumedly, the NJDC means more than just Reform Jews, still one has to wonder from their list of issues against Newt Gingrich, what is Jewish about them? The Middle East Sampler 1/31/12: New York Times vs. Moderate Muslims? 1) Will Israel be illegal in Iraq? The bill was proposed following a number of incidents at the Bagdad airport. A local security officer working there said the passport had caught a number of Iraqi officials carrying passports with Israeli entry visas. The officer, speaking on a condition of anonymity, reported that the passports of some nine high-profile Iraqi politicians were clearly marked with Ben-Gurion Airport stamps as well. Arlene Kushner on The Israel-Palestinian "Peace Talks"
If you are a leading patron of terrorism like Iran, or like Lebanon--the home of a leading terrorist group like Hezbollah: what kind of exports can you offer the murderous regime of Assad in Syria? Jordan wants to restore relations with Hamas, the militant Palestinian group that controls Gaza, because the group is an offshoot of the Muslim Brotherhood, whose Islamist allies are forming new governments around the Arab world, and because Jordan wants to remain an influential go-between in the region, especially in the Israeli-Palestinian conflict. But Jordan does not want to damage its relationship with Hamas’s chief rival, President Mahmoud Abbas and his Fatah party, nor to anger Jordan’s allies, Israel and the United States, which consider Hamas a terrorist group. Despite what is now the longest-running revolution in Middle Eastern history, the Syrian regime will probably be in power on December 31, 2012. I don’t say that because it’s what I want to happen—Syria’s revolution is more democratic-minded than those in Libya or Egypt; the government is far more repressive than the former dictatorships in Tunisia or Egypt—but because it seems inevitable. Why is it that after so many months of massive demonstrations and really bloody repression, that President Bashar al-Assad seems likely to survive? Of course no one knows what will happen but there are three reasons to think that Assad's regime is surviving, though the cost of that is a great deal of suffering and the wrecking of the country. There's a good deal happening, and much to respond to. Please read this through and act. I like to think of my readers as also actors in the important fights we are fighting -- against some things, for others. Your assistance does make a difference. I begin with a link to my latest article on Front Page Magazine, "Answering Obama's Israel Lies." It exposes the distortions and half-truths that have been put out in a campaign video purporting to show what a good friend to Israel Obama is. Please, circulate broadly. Here's the link to the original video, in case you haven't seen it. It's making the rounds big time and must be responded to in a serious fashion, for it's so easy to be taken in if you don't know the facts. When you DO know the facts, the response to this is some combination of rage and deep disgust. Labels: Election 2012, Is Obama A Friend Of Israel?, Will Migron Be Razed? I’ve been waiting for someone to voice my reaction to President Barack Obama’s State of the Union message. But and since I haven’t seen anyone else do it — I’m not referring to the foreign policy aspects which I analyzed fully here but the whole speech — I’ll do it myself. Why? I am reminded of the famous scene in The Caine Mutiny embedded above in which the captain is testifying at the court-martial of officers who removed him from command during a storm on the basis of mental incompetence. Perhaps you remember the brilliant film performance by Humphrey Bogart. As he testifies about his fine job of command, the captain slowly breaks down into coherence. He pulls out of his pocket some little steel balls which he rolls endlessly in his hand. Click. Click. Click. The court-martial officers look at each other and you can see in their faces what they are thinking: This man is bonkers. As Shabbos approaches, here is the latest edition of Latma. This investment in the survival of Assad indicates which of the four aspects of Hezbollah’s identity mentioned above are most important to it. The link with the Iran-led alliance and maintaining the ability to wage war against Israel are the cardinal interests. To maintain these, Hezbollah has to a great extent sacrificed its more nebulous self-image as a leader of pan-Islamic “resistance.” Syrian Sunnis leading the uprising against Assad now count Hezbollah among their enemies. The movement’s flag has been burnt at opposition rallies. Yes, I'm sure that politicians in general, and presidents in particular, rework successful themes--but it's still jarring to see this from the president touted as being such a smooth expert speaker as Obama. Challenging the media instead of apologizing to them is becoming popular! But it still doesn't mean Newt Gingrich is electable. Technorati Tag: Cato Institute and Obama and State of the Union Address. The radio superhero, The Shadow, had the power to “cloud men’s minds.” But nothing clouds men’s minds like anything that has to do with Jews or Israel. This year’s variation on that theme is the idea that Israel is about to attack Iran. Such a claim repeatedly appears in the media. Some have criticized Israel for attacking Iran and turning the Middle East into a cauldron of turmoil (not as if the region needs any help in that department) despite the fact that it hasn’t happened. On the surface, of course, there is apparent evidence for such a thesis. Israel has talked about attacking Iran and, objectively, one can make a case for such an operation. Yet any serious consideration of this scenario—based on actual research and real analysis rather than what the uninformed assemble in their own heads—is this: It isn’t going to happen. The talks underway between Israel and the Palestinians in Amman have not lead to any progress. The opposite is true: the Palestinians refused to talk with Israel on the issues related to security arrangements for their future state, even though at issue is one of the central subjects in the conflict. The prime minister’s envoy to the negotiations, Adv. Yitzhak Molcho, brought to the meeting between the parties on Saturday night Brig.-Gen. Assaf Orion, the head of the strategic unit of the IDF Planning Branch, in order to present Israel’s positions on security in the talks. However, the head of the Palestinian negotiating team, Saeb Erekat, refused to allow the officer to appear before them. For people seeking serious Torah learning at their own convenience, WebYeshiva.org offers the ability to join other Jews in an accessible, interactive community for all levels, with its dynamic online classrooms and web presence. Free Winter Semester shiurim will run from Januart 15th through March 6th, 2012. If you can't participate live, you can still listen to the class in the archived recording at your convenience. The New York Times has a short item, Lebanon: Former General Sentenced in Spying Case. 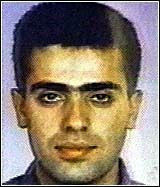 The former general, Fayez Karam was convicted of giving information to Israel. I've been skeptical of these announced arrests of spies in Lebanon. Two years is an awfully light sentence for an espionage conviction. Presumably, a lot of Americans will believe this. The United States may be said to be safer in terms of facing direct terror attacks but that was basically true in 2002. As for “more repected”—a phrase no doubt chosen to seem more statesmanlike than saying “more popular,” that is a joke. If there’s one thing that should be obvious (and this is often revealed even by international public opinion polls) the United States is not more respected at all. The 19 year division of Jerusalem is being exploited as a reason to divide Israel's capital today. Jackson Diehl is by far the best journalist writing in the mass media about the Middle East. In a recent column he tries to find some middle ground between the dominant ideas — that Islamist regimes are no problem at all and that the Muslim Brotherhood is really moderate — and what he defines as an excessively extreme conservative and Republican analysis. While I don’t quite agree with him, there is much of merit in his dichotomy. We should all learn from it even though I’m going to suggest that it needs to be adjusted. Even if Obama’s critics are on the right side about the Middle East and generally understand what’s happening, many of them also make factual and analytical mistakes that undermine their credibility and may sometimes subvert their policies if they win office. My readers have heard from me about Mitzpe Avichai, and now it is time to turn our attention to Migron -- which presents some very serious issues. You will learn things here that it is unlikely you've heard from your mainstream media sources. Migron is a Jewish community on a hilltop in the Binyamin Regional Council in Samaria, north of Jerusalem. With 49 families, it is the largest of the communities that are frequently referred to as "unauthorized settlements." Labels: Will Migron Be Razed? Lately Jackson Diehl has been one of the better analysts of the Middle East. His most recent, Turkey's government is the new normal in the Middle East, unfortunately, was disappointing. Diehl started off by blasting former Republican presidential candidate, Gov. Rick Perry of Texas. Islamic terrorists? This, mind you, is about a government that has just stationed an advanced radar on its territory that could be used to track and shoot down missiles from Iran; that joined the NATO operation against Moammar Gaddafi in Libya; that has become the host of the opposition to Syrian dictator Bashar al-Assad; and that, having repeatedly won free democratic elections, amended Turkey’s constitution to expand rights for women, ethnic minorities and unions. Danny's parents, Judea and Ruth Pearl, reflect on his life and last words in this webcam video shot 1/18/2007 in the kitchen of their Encino, CA home. Daniel, a reporter for The Wall Street Journal, was murdered in Karachi, Pakistan on February 1, 2002. In a widely-circulated video, Danny proudly affirmed his identity as a Jew and Zionist, last words that have inspired books, movies and music. Ever notice that we are constantly being told that Hamas is moderating? Labels: Hamas is becoming more moderate...again, Is Netanyahu Really A Right Wing Extremist? What Do You Get When You Cross The BBC With Russian News? The following article was published in Maariv newspaper in Hebrew. Do not speak of it in public. Do not expect any Israeli official to admit it. But Israel is facing an issue unlike anything it has had to deal with during the past 50 years: It cannot depend on the United States. This is a huge victory against fanatical Muslim statements that have regularly been ignored because they were said in Arabic. Apparently the Jerusalem Mufti, Muhammad Hussein, is not used to being called on his Arabic statements which till now have been made with impunity. We’re starting to get a good picture of what the lower house of Egypt’s parliament will be like, though it will take another month to be certain. Close to 50 percent of the seats will be held by the Muslim Brotherhood. Another 25 percent will be held by the al-Nour party of Salafists. With 75 percent the two Islamist parties will be able to do as they please. But, they—or at least the Brotherhood—are determined to be cautious. Note that there is a big difference between actually being moderate and simply being patient, advancing step by step toward radical goals. The Western media will report that the Brotherhood is indeed moderate. Actually, as I review coverage over the last year it is almost impossible to find even a single article in the mass media that reports any such evidence, much less analysis, despite the massive documentation available to the contrary . The non-Islamist seats will be held by the Wafd, nine percent, and the Free Egyptians Party, another nine percent, with the rest spread among a dozen different parties, mainly liberal with a small number of leftists. The Wafd will be willing to make deals with the Islamists in order to obtain a share of power for itself. Only the Free Egyptians will oppose them with determination. 1) If they aren't a terrorist organization, what are they? The United States should not allow itself to be drawn into this quicksand by focusing on Boko Haram alone. Washington is already seen by many northern Muslims — including a large number of longtime admirers of America — as biased toward a Christian president from the south. The United States must work to avoid a self-fulfilling prophecy that makes us into their enemy. Placing Boko Haram on the foreign terrorist list would cement such views and make more Nigerians fear and distrust America. Newt Gingrich, surprising a whole lot of people, ran away with the Republican primary election in S. Carolina yesterday. He has garnered at least 23 of S. Carolina's 25 delegates to the Republican convention. Analysts attribute this win to Gingrich's feisty delivery at the two S. Carolina debates -- in Myrtle Beach and Charleston. He's focused, articulate, and unafraid of confronting facts that are politically incorrect. immediately came out swinging that Bibi is a Right Winger and Lieberman pushes him even more right, blah, blah, blah. Labels: Is Netanyahu Really A Right Wing Extremist? readers who, fed up with the distortions and evasions that are common in public life, look to The Times to set the record straight. They worry less about reporters imposing their judgment on what is false and what is true. Enter David Gerstman, who offers Mr. Brisbane some much-needed support. Challah Hu Akbar: Obama Administration: No to Israel, Yes to the Muslim Brotherhood? Such energetic and fearless pragmatism conquered a continent, industrialized an agrarian nation, and won wars. A century ago it allowed America to turn disparate ethnic and religious groups into a single nation. In recent decades with remarkably little violence or disruption it broke down long-prevalent racial, gender, and other barriers. I ran into an older, retired Israeli colleague who is a fine scholar in his field. We hadn’t met for 25 years and agreed to have coffee in a nearby Tel Aviv cafe. In the ensuing conversation I learned some key things about why current intellectual and political discussion is such a wreck. Barry Rubin: Arabism Is Dead! Long Live…? Arabism Is Dead! Long Live…? An editorial in the moderate Lebanese publication, Lebanon Now, reminds us of just how dramatically the Middle East has changed. Many of the arguments and assumptions that governed the Arabic-speaking world for six decades have simply vanished. Others, though, have just been modified slightly. The biggest change has been the collapse of Arab nationalism, the ideology and system that governed many countries, controlled the regional debate, and intimidated everyone else into line for six decades. But is the analogy to Eastern Europe in 1991—rescued from Communism and transformed into democracies—or to the situation there in 1945—save from fascism only to be taken over by Communism for almost a half-century? In other words is the Arabic-speaking world moving into an era of democracy or merely a new form of authoritarianism? The Columbia Journalism Review features an article by Neil Lewis, The Times and the Jews. The subhead tells us: "A vocal segment of American Jewry has long believed that the paper has been unfair to Israel. Here’s why—and why they’re wrong." (h/t James Taranto) The article is long (and a longer version is promised at the bottom) but I will focus on only one incident that Lewis analyzes. Who’s Winning in the Middle East? Nawal al-Saadawi, now 80 years old, is a unique figure in Egypt. She is a pioneer feminist and a radical Arab nationalist. Al-Saadawi has lived in the United States but hates America and, of course, Israel. You can imagine that she also loathes the Islamists. So how does someone like al-Saadawi react to the Egyptian elections won by the Islamists? She brands it an American conspiracy. "Democracy is not elections and America uses religion to divide Egypt," she said in a recent television interview. You are going to be hearing--or not hearing, if you depend on the Western mass media--a lot more of this kind of thing. Meanwhile, the Egyptian moderates know they are unpopular but can only blame the local media and the military. Only in private do they acknowledge with despair the overwhelming strength of the Islamists. No doubt many of them will also soon be blaming American policy for their defeats. The Samsung ad that proves: yeah, there's an app for that! When people don't know all the details of what happened, speculation becomes rampant to fill in the missing details. Before getting into the details, let me caveat this whole thing: I don’t know who did it, and neither does anybody else writing about it. The Iranian regime, which usually claims to know everything about everything, has so far accused the Brits, the Americans, the MEK, and the Israelis. However, I think that I do know this: If the Israelis (or the Americans, or the Brits) are actually capable of operating at will in the midst of the virtual military occupation in Tehran, we do not have to worry about the Iranian nukes, because if the Israelis, the Brits or the Americans can do that, they can do anything they want to. On Sunday I had written that a major joint Israeli-US military exercise -- to be the biggest ever held -- which had been scheduled here for this spring had been cancelled, allegedly for budgetary reasons. The news was brand-new when I put it out. In the days since, there has been much said about this cancellation, and every pundit, every writer, has a different take. You have your choice: both countries decided together to cancel/Israel cancelled/the US cancelled. It was for Israeli budgetary reasons/to punish Israel/to allow adequate time for planning. And on and on. How can you tell when an expert who predicted one outcome realizes he is wrong? When he starts telling you that a different outcome isn't so bad. A week and a half ago Thomas Friedman naively told us that the victory of the Islamists in Egypt was a good thing. To be sure there were skeptics. Today in Trust but Verify, Friedman walks back his earlier unbridled enthusiasm. The following by Yedidya Atlas is reposted with his permission. As the US presidential elections draw closer, support for Israel becomes a mantra for every potential candidate. Republicans wave their pro-Israel flag to satisfy the significant majority of pro-Israel Republican voters (non-Jews). While President Obama renews efforts to prove to the left-liberal Jewish Democratic donors and Jewish voter blocs in key states that he too just loves Israel - despite his actual record while in office these past three years - including eating non-kosher pastrami on rye sandwiches in public. So the Palestinians, in what appears to be a coordinated good cop/bad cop effort are redoubling promotion of their Big Lie about who their “deep roots in the Land” and that the “Palestinian-Israeli Conflict” is the big issue that requires a “just solution” - which is a euphemism for pressuring Israel to accept the Palestinian Arab position. Just one week after Dr. Ahmed Tibi attacked Majority Leader Eric Cantor in an op-ed in the local Richmond newspaper, PLO Mission head in Washington, DC, Maen Rashid Areikat, blithely repeated many of the same lies in The Washington Post. The following by Barry Rubin is reposted with permission. The political history of the modern Middle East can easily be divided into three eras. In 1952, a military coup in Egypt signaled the start of the period in which radical Arab nationalism dominated. The 1979 Iranian revolution began the challenge of revolutionary Islamism. And then, in 2011, in the wake of more revolutions, Arab nationalism collapsed completely. In most of the Arab world we are now in the era of the Muslim Brotherhood. Finally, there is a new “Middle East,” but instead of being directed by moderation, peace, and a hunger for material prosperity, it is dominated by Islamists determined to transform their own societies and to conquer the region for their cause. UN Secretary General Ban Ki Moon has been in Lebanon for among other things, a conference on "Reform and Transitions to Democracy" sponsored by the United Nations Economic and Social Commission for Western Asia. First he was reported to have called on Hezbollah to disarm. That demand was met with scorn. Hezbollah leader Sayyed Hassan Nasrallah dismissed on Saturday a United Nations call for his movement to disarm, saying it was determined to maintain a military capacity to defend Lebanon. "I affirm today, firmly, decisively and with the greatest conviction ... the choice of armed resistance," Nasrallah said. "These weapons, along with the Lebanese people and army, are the only guarantee of Lebanon's protection." "Your concern, Secretary-General, reassures us and pleases us. What matters to us is that you are worried, and that America ... and Israel are worried with you," he said in a televised speech marking a Shiite holy day. 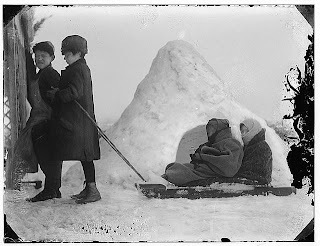 As far back as August of 2009, a document had been drawn up by mental health professionals, who took into consideration lessons from previous evacuations of "outposts," regarding the rights of the child in these circumstances. This document made minimal recommendations, and stated that children must be prepared in advance for an evacuation of their homes, and should not be present when the evacuation and destruction are taking place. The following by Barry Rubin is reprinted with permission. The region-wide upheaval known as “the Arab Spring” would make it seem that terrorism, especially Islamist terrorism, is pretty much as dead as are its thousands of victims. After all, if the protest demonstration and balloting have proven able to resolve grievances then who needs to blow people up? And the same applies to intimidation and instability since presumably people vote, a government is elected, and democracy immediately enues. But the Middle East is far from through with violence. Where should we look in 2012 for the greatest threats of terrorism and what will be the targets? If we think this through in advance we can better plan to avoid or minimize these problems. Missing Peace: Iraq nine years after operation ‘Iraqi Freedom’: Back to square one? This Missing Peace report deals with the situation in Iraq after the pull out of the US army in December last year. Following the departure of the American army sectarian violence has rapidly increased. Since the beginning of January 2012, 257 civilians have died in terrorist attacks, Iran has stepped up its involvement in Iraq’s internal politics and political turmoil has ensued, bringing the country to the brink of a civil war. On December 15th 2011 the American military formally ended its mission in Iraq. Since its beginning in 2003 the intervention has cost the lives of 4,487 American soldiers, another 32,226 were wounded in action and approximately one hundred thousand Iraqis died in the ensuing fighting and terror campaign. As soon as the US troops left it became clear just how messy and sectarian Iraqi politics are. Right after the withdrawal sectarian political tensions boiled over and Iraq became even more unstable than it already was. It is truly astonishing how, it often seems, how Western media coverage must blame Israel for everything that “goes wrong” in the Middle East, including murderous hostility to Israel. “The government’s move underscores the changing relationship between Israel and post-Hosni Mubarak Egypt. The former president maintained relations with Israel, as laid out in the 1979 Camp David peace treaty, in part by curbing civil liberties with his expansive police force. Since his ouster last winter, anti-Israeli sentiment driven by Israel’s treatment of the Palestinians has risen to the surface, and Israeli-Egyptian tensions have grown. Washington, Jan. 16 - Nearly eight-in-ten (78 percent) Jewish undergraduate students report either witnessing (66 percent) or being subject to (46 percent) anti-Semitism in their lifetime. This alarmingly high number belies the idea that anti-Semitism is no longer a challenge for the younger generation. And, nearly two-thirds (63 percent) of Jewish undergraduates characterize the criticism that they hear regarding Israel to be unfair. When hearing criticism of Israel, only 14 percent of respondents characterize it as legitimate, compare to 27 percent who deem it anti-Israel, and 44 percent anti-Semitic. Over the last 26 years, Israel has sent out 15 aid missions to countries struck by natural disasters. Immediately upon arriving to these countries IDF doctors set up field hospitals. Overall, medical care was given to more than 2,300 people in afflicted areas, and 220 were saved from certain death. In my last posting I registered moral outrage at the fact that the residents of Mitzpe Avichai, including children and babies, were pushed out of their homes -- a total of 9 temporary structures in this fledging neighborhood in Kiryat Arba -- in the middle of the night, into a freezing rain, so that the homes might be destroyed. Palestinian Minister for Captives Affairs Ataollah Abu Sabah said Palestinian prisoners are suffering harsh and inhuman conditions in Israeli jails, and stressed that Israeli prisons are much more horrible than those of the Nazis'. Happy Anniversary Abbas--In Office Three Years Since His Term Ended! Abbas's term as President expired 15 January 2009, since then Aziz Duwaik has been recognised as President by the Haniyeh government in the Gaza Strip, while Abbas is recognised as President by the Fayyad government in the West Bank. Barry Rubin: Can Real Liberalism and the Democratic Party Be Saved from the Radical Takeover? Can Real Liberalism and the Democratic Party Be Saved from the Radical Takeover? The far left has at least temporarily won the battle of ideas in the United States and taken over institutions by pretending to be “liberal.” Meanwhile, actual traditional liberalism, which ruled those institutions for many decades, has vanished. Suddenly, we are supposed to believe that “class warfare,” anti-capitalism, hatred of America, Stalinist-style treatment of opponents, the glorification of the extremist Occupy movement, a mass media all too devoted to propaganda, and a betrayal of Enlightenment values are normative liberal ideas! During the 1930s, the Communist Party tried to take over liberalism but failed miserably. Today, however, the post-Communist left has succeeded in that effort to a remarkable extent, effectively wiping out the memory of what liberalism was actually like. For their part, many conservatives are quite willing to reinforce the left’s rewriting of history, suggesting that Barack Obama and the destruction of once-great institutions is a natural and inevitable outgrowth of people like Franklin Roosevelt, Harry Truman, John F. Kennedy, and Lyndon Johnson. Yet there is a sizeable bloc of traditional liberals who have been repelled by the radical takeovers of institutions and the destruction of their own ideas. They have not yet found a voice but, if given proper treatment and leadership, they are about to far exceed the “Reagan Democrat” phenomenon. 1) Is Arthur Brisbane the Bernard Goetz of newspaper editors? Unsurprisingly the two targets of Brisbane's column are Republicans, whom the readers felt should have been fact checked on the spot. But my issue here is a different bias. A year ago, I wrote an e-mail to Brisbane's office about factual errors included in its Middle East reporting. I made three main points. Tundra Tabloids has the English translation of an interview blogger/writer Fjordman has given with the German newspaper Junge Freiheit: Europe Is The Sick Man of the World. Just How Risky Is It To "Criticize" Israel? In Haaretz, James Kirchik describes what he suggests may be A case of leftist 'McCarthyism'. The left is constantly complaining that the debate about Israel is restricted, that one can't criticize Israel without "risking" his career. Reality is in fact the opposite. Figures ranging from University of Chicago professor John Mearsheimer to journalists Peter Beinart and Andrew Sullivan have all seen their careers blossom as a result of their harsh and unrelenting criticism of Israel. Indeed, obsessively attacking Israel is a bona-fide way to resuscitate one's career, not destroy it. As a measure, consider the fact that employees at mainstream liberal institutions feel comfortable using the sort of language popularized by white supremacists and Holocaust-deniers. Labels: Does Attacking Israel Advance One's Career? What Does It Mean To Be Pro Israel Today? is the question asked in a Moment Magazine symposium. Labels: What Does It Mean To Be Pro Israel Today? We should be responding quietly, killing radical mullahs and iranian atomic scientists, supporting the simmering insurgencies within Iran, putting the mullahs' expat business interests out of business, etc. Basically, stepping on the Iranians' toes hard enough to make them reconsider their not-so-covert war against us in Iraq. And we should have been doing this since the summer 2003. While most of the civilized world is taking grim satisfaction from the news about the latest Iranian nuclear scientist to turn up dead, predictably, the hard left is outraged. Salon’s Glenn Greenwald is particularly upset because he recalls that when Glenn Reynolds wrote in 2007 to urge the Bush administration to strike out at the Iranians in this fashion, the suggestion was widely denounced–at least on the left. 1) Who is killing the nuclear scientists in Iran? The semiofficial Fars news agency, which has close links to the powerful Revolutionary Guards Corps, said the Wednesday bombing resembled the methods used in attacks in November 2010 against two other nuclear specialists — Majid Shahriari, who was killed, and Fereydoon Abbasi, who survived and is now in charge of Iran’s Atomic Energy Organization. Almost exactly two years ago in January 2010, a physics professor, Massoud Ali Mohammadi, was also assassinated in Tehran. Iran blamed Israel and the United States for the attacks in 2010, and the latest killing is bound to deepen an embattled mood in Tehran as the country’s divided leaders approach parliamentary elections in March. News of the blast emerged quickly on Iran’s state-run media. It is distasteful when Western intellectuals, politicians, and journalists who pride themselves on their enlightened humanitarian views watch people abroad fall subject to ruthless forces of dictatorship and dogma. When these same people actually cheer the new tyrannies, put their arms around the shoulders of those who despise them, and tell everyone else that there’s nothing to worry about, that’s actively disgusting. Many in the West have so acted toward Egypt during the last year. They have also and previously done so for the Gaza Strip, Iran, Lebanon, Libya, Syria, Tunisia, and Turkey. Thomas Friedman has been one of them but perhaps no one else has been louder and more enthusiastic. In doing so, of course, he has echoed U.S. government policy. Now, Friedman goes all-out to explain that the Muslim Brotherhood isn’t radical, isn’t a threat, in fact is a good thing, and will only become eve more moderate once it is in power. Who Knew The Palestinian Arabs Had So Many Gripes Against Abbas? o After just one year of Abbas, Palestinians realized that Abbas was not serious about ending corruption and reforming the PA and Fatah--so they voted for Hamas in a parliamentary election. o Top Fatah officials hold Abbas personally responsible for their failure in the January 2006 parliamentary election. o Instead of focusing on reforming Fatah after the defeat in the parliamentary election, Abbas chose to seek ways to topple the Hamas regime – a move that backfired and further bolstered the Islamist movement’s stature. Arlene Kushner on Republican Candidates, Jack Lew, Explosions In Iran, Abbas and "The Pistol Nation"
That means "Anyone But Obama," although I might qualify that with "almost." Perhaps it's in the nature of the game, but as I watch from Jerusalem while the candidates vying for the Republican nomination go at each other, I am unsettled. Especially as sometimes accusations are over the top. In the end, of course, the Republicans will settle on one of those currently vying for the nomination. But we must hope that, by that time, the competition that preceded it will not have so tarnished his image that his capacity to beat Obama at the polls has been compromised. Thomas Friedman continues his tour of Egypt and writes about it in Political Islam without Oil. This is a variation on the typical "Islamists will moderate when they achieve power" theme. This is more like "Egypt's Islamists will have to moderate when they achieve power because they won't be able to buy off the population with oil wealth." Well, Maan--the Palestinian Arab paper--almost had it right. Around 60 people from across the West Bank on Tuesday tried to drive from Jericho to Ramallah on an Israeli-only road to protest Israel's restrictions on Palestinian movement. Popular resistance committees organized the motorcade of around 50 cars to protest the network of roads in the West Bank designated for the exclusive use of Jewish settlers. The story is that Israel is not only prepared to take in refugees, but Alawis in particular--that would be Assad's Muslim sect. The Israeli Army’s Chief of Staff Benny Gantz says Israel is preparing to take in refugees following the downfall of Syria’s Bashar al-Assad. The interesting part is that Israel is expecting refugees from the Alawite minority and to house them on the Golan Heights. Another Episode Of "Hamas Is Becoming More Moderate"--With More Repeats Than "I Love Lucy"
1. To buy medicine for the family, I go to a pharmacy - either one of the commercial chains or in special cases to the pharmacy of the health fund (Kupat Holim). Most of the time, in most of those places, the pharmacist serving you, usually in a pleasant or at least professional way, is an Arab. My wife was at the Kupat Holim Me'uhedet pharmacy in central Jerusalem Sunday night. She told me afterwards that all four of the pharmacists behind the counter here are Arabs, chatting to one another in their language. No big deal. Labels: Arab Jobs In Israel, Is Israel Really Apartheid? "...I’m telling you this story in part because of a conversation with a colleague today in which he told me a story expressing very well the intellectual mess we are facing. Someone had written an article in the left-wing British magazine New Statesman, which always bashes Israel sometimes in the nastiest terms, defending Israel’s 2008-2009 Gaza operation called “Cast Lead.” In the article, the writer had gone into great detail to set forth the facts of what happened and to rebut the wild allegations of war crimes and the many outright lies told about these events. But here’s the relevant part for all of us. 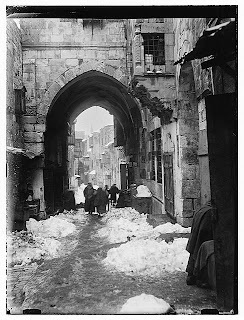 The blog vintage everyday posted a selection of photos on Sunday of a Snow In Jerusalem, 1921. On Monday Ishmael Haniyeh visited Tunisia, during his first official Middle East tour as the prime minister of Hamas in Gaza. 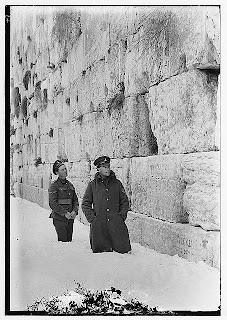 During that tour he tried to generate support for his plan to launch a ‘holy war to liberate Jerusalem’. When he addressed a cheering crowd in Tunis, he predicted ‘difficult times ahead for Israel’. Border Police officers captured close to a dozen pipe bombs at the Salem Crossing near Jenin in the northern West Bank on Sunday, thwarting what appears to have been a major terrorist attack, possibly against a nearby military court. Photos: Who Knew That Ron Paul and Ahmadinejad Travel In The Same Circles! A recent essay by an award-winning scientist presents a remarkable, and remarkably revealing, picture of current scientific thought about the nature of the universe. Two weeks ago, Jonathan Schanzer wrote,Will Hamas splinter as external leaders seek a new home? I was skeptical because I didn't believe that Hamas would change. As Khaled Abut Toameh has recently written. Those who think that Abbas's invitation to Hamas to join the PLO is a positive step for the peace process are deluding themselves. Hamas, according to its leaders, is joining the PLO because it wants to "liberate Palestine from the river to the sea," and not because it is interested in becoming part of the peace process. But in the West, most analysts do not want to hear what Hamas says in Arabic. Official, institutionalized discrimination against Palestinians is widespread in the Middle East. Where does this Apartheid take place, and what are the reasons behind it? Say what you will about Beit Shemesh, you're not going to see anything like this in Saudi Arabia. On Friday, Jan 6th, 2012, a group of 250 women from Bet Shemesh decided to raise their voices against the exclusion of women from the public domain by holding a mass public dance in the city square. The women, residents of the city from all ages and sectors, religious, traditional and secular, gathered together in a flashmob dance, in the city square and started dancing towards a change. Technorati Tag: Israel and Beit Shemesh. The Shamgar Committee, which had been charged with establishing guidelines on how the government should respond if terrorists abduct Israelis in the future, has completed its work and submitted its report to Defense Minister Barak last Thursday. It is being said that the goal of the protocol that is recommended is to guide Israelis to abide by a "national moral code," as well as to send a message to the enemy that it will not be profitable to kidnap Israelis. According to Israel Radio, the report is currently classified "top secret," and while parts of it may remain confidential, parts may ultimately be published.